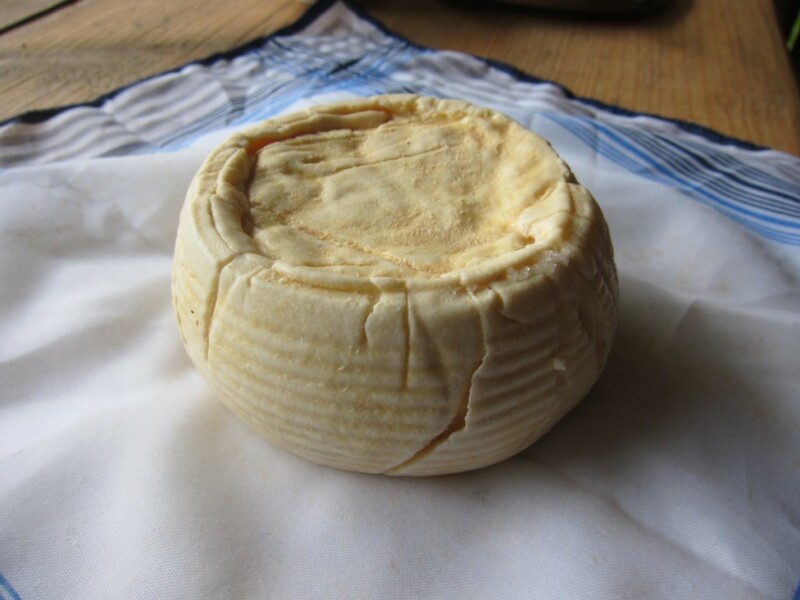 During our recent discussions we thought we have to look more deeply in to cheese making. While first experiments were already done by Sachiko during her visit to lifepatch in Yogyakarta, (see impressions on facebook here), this time we’ll try it under the minimal equipment circumstances in Hagen. Very carefully heat the milk to 20-22° in the previously sterilized pot. Next Day… Clean and sterilize your tools again. Leave it sit a bit, approx 1h for the bacteria to continue their job. Mix by hand and put back on a very small fire. Take out the curd pieces and drip them off, while transferring it into the strainer. Add 2 teaspoons of salt to the strained whey. Mix the salt smoothly into the curds. Experimental Hagen Chääsli 2: This one looks ready aswell…. Day 3 – Rindenpflege: Salting and rubbing the rind. Cellar temperature between 15 – 18°C. After 15 weeks of ripening… it’s looking good! Funny different colors and moulds. easy to clean them off.